Auchingarrich Wildlife Centre was recommended to us by some friends a while back. I’d spotted a family entry offer on groupon earlier in the year, so I bought it and then forgot about it until August and we had a week left to use it. But when I did eventually remember, we went along for the day at the end of the summer with the little lady’s cousins. We managed to choose a warm, sunny day so the park was pretty busy. So busy that there were staff members directing all the cars where to park. We did have a little walk to get to the park entrance, but nothing that an 8 and a half months pregnant me couldn’t handle. Before you even get into the park there are some farm animals to see; notably the tartan sheep. Yes, they are exactly what they sound like; no, I don’t know why. Regardless, my mum loved them. 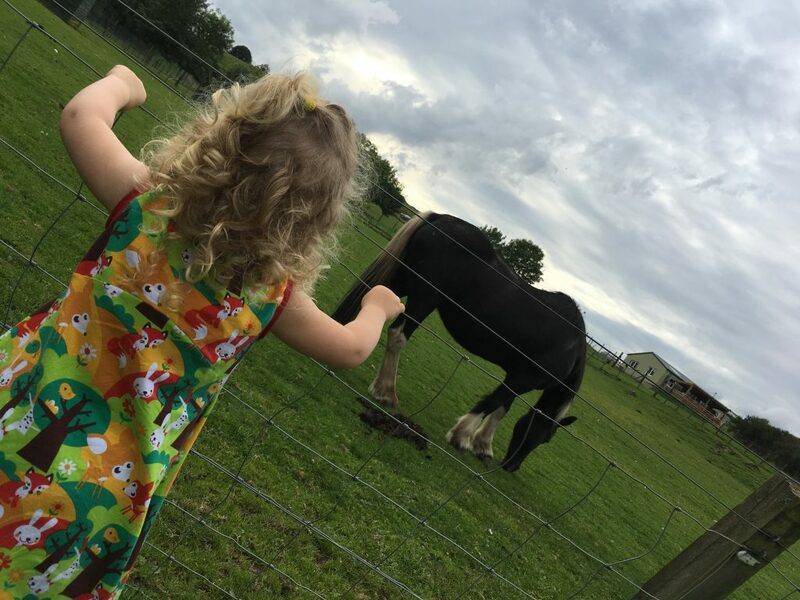 There are lots of farm animals to see in the park; goats, horses, pigs, sheep, llamas, chickens etc. All the usuals. And if you buy some feed at the front door you can feed them. 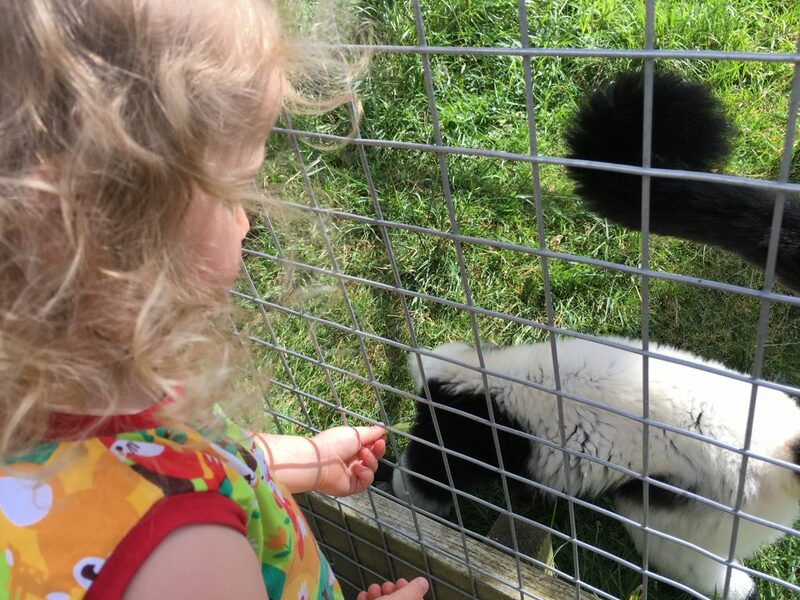 There are also some very friendly lemurs that you can help feed; the staff bring out plates of fruit and veg that kids (or big kids) can feed to the lemurs. (FYI: the lemurs definitely like the fruit best.) There are also some owls and various other birds, plus a big hatchery. 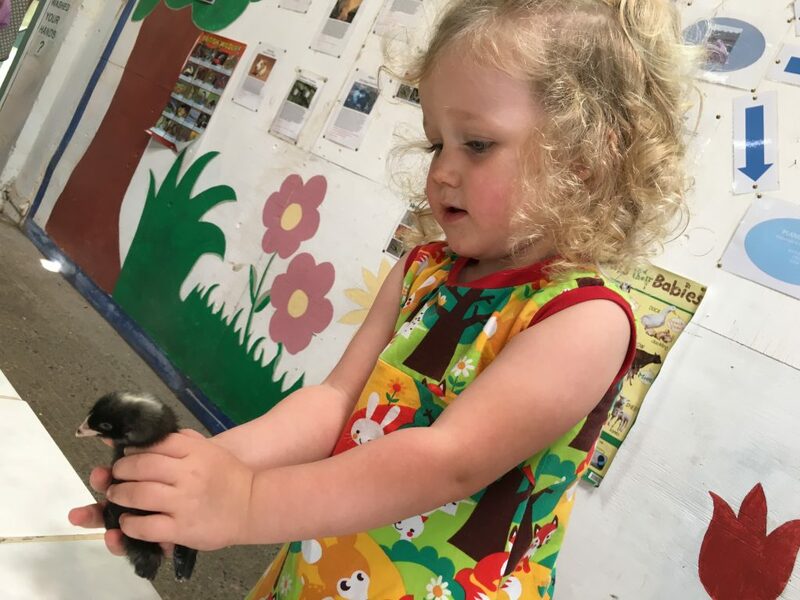 The hatchery was the little lady’s absolute favourite part. She loved it in there. On the day we visited there were a huge number of tiny chicks in the hatchery. 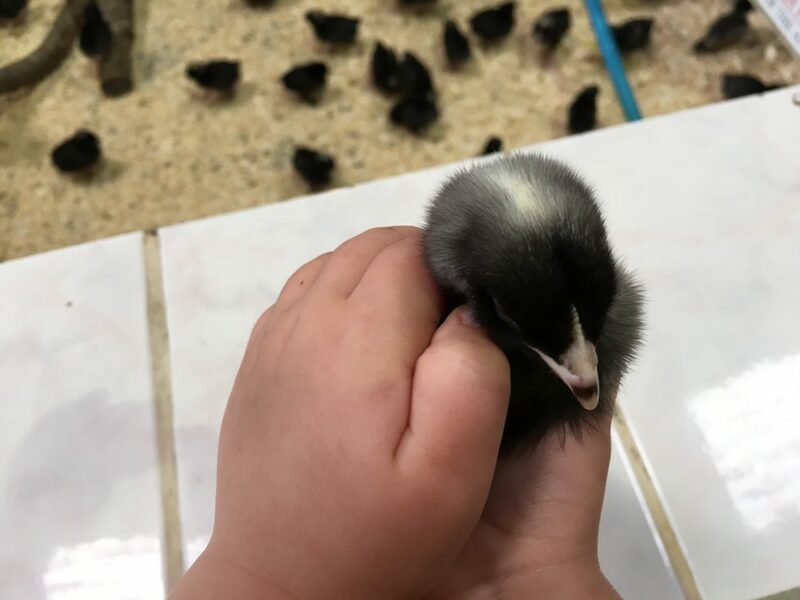 There was a staff member available helping kids and adults to have a little hold of a chick. I’m pretty sure the little lady would’ve spent the entire day in there just holding chicken babies. 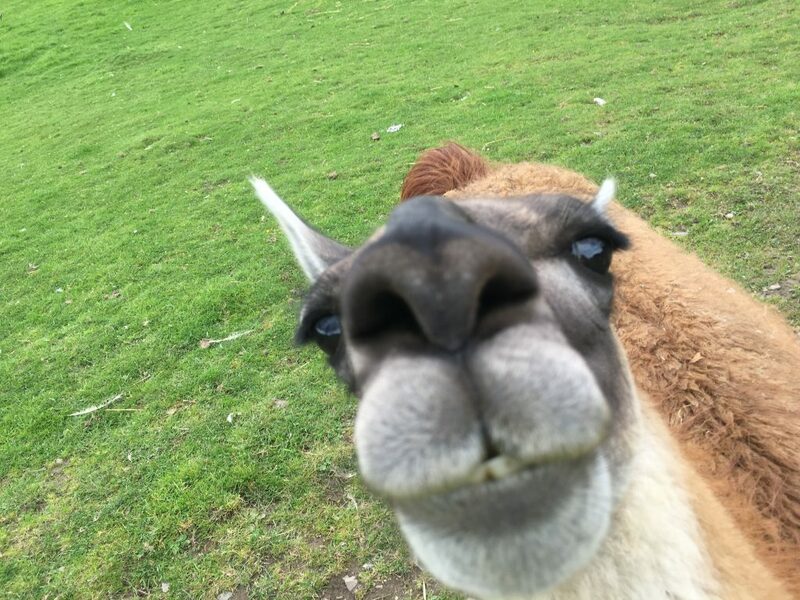 If you fancy a walk up and around the hill (I didn’t in my fecund state) there are loads of animals to see: foxes, emu, yak, ducks, deer and loads more. And the tartan sheep are in this area too. 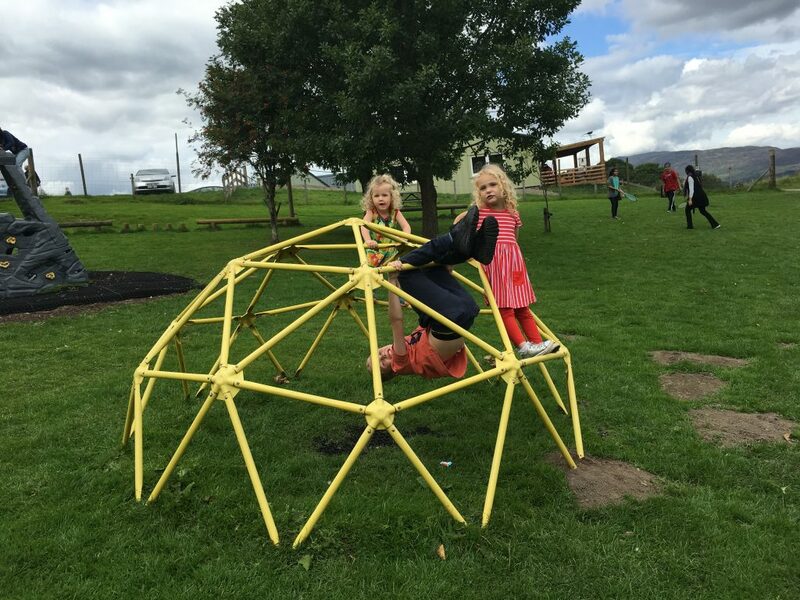 Auchingarrich has one main play area overlooked by the cafe. 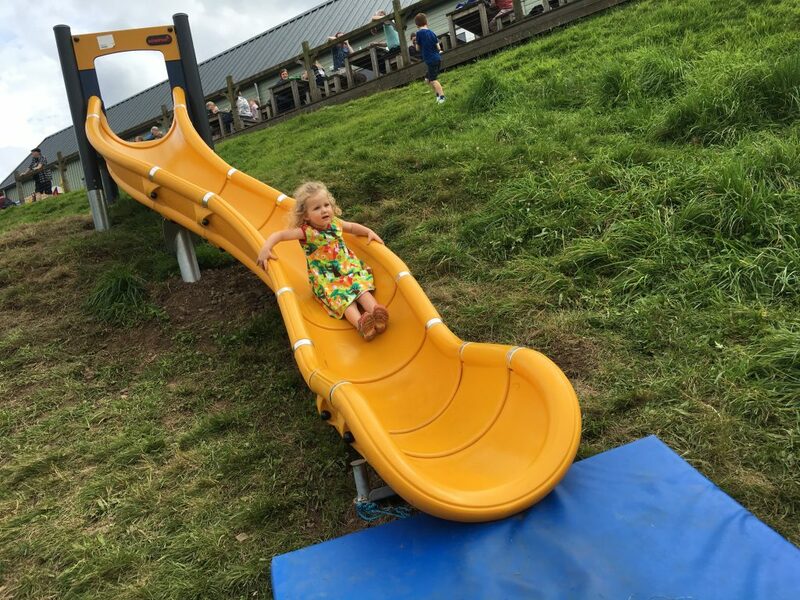 There are slides and climbing frames, a flying fox, tunnels to run through and climb over… The kids had a great time running around letting off steam. 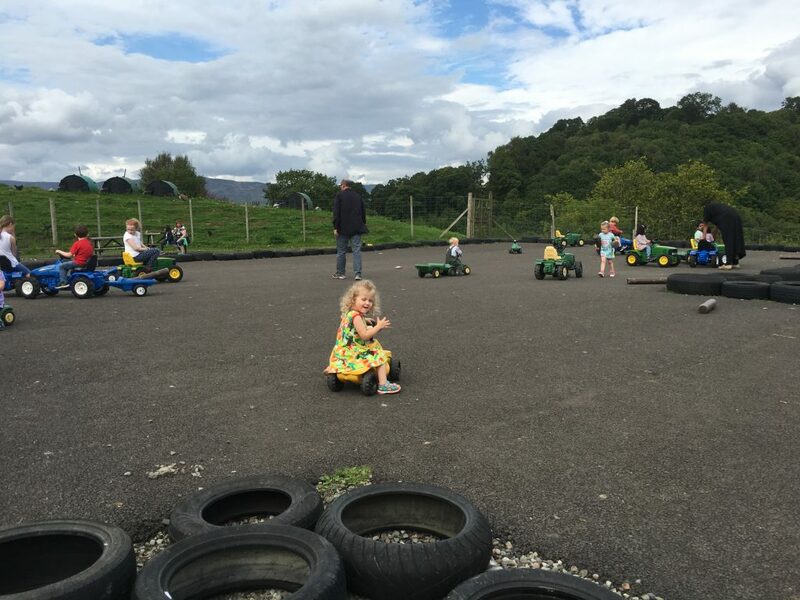 There are some other bits dotted around the park for kids to play on: some mini tractors, mini golf and an indoor play barn. There is also a little adventure playground at the picnic area. All lots of fun. The cafe sells a good selection of hot and cold foods, plus cakes and traybakes. We didn’t actually eat in the cafe though so I can’t comment on the food. Except the ice cream; that was delicious! Instead, I was incredibly organised for once and I took a full picnic with us. There are a few designated picnic areas with benches around the park. It’s £8.45 for adults and £6.95 for kids. Under 2’s go free. Family tickets are available. It took us about 55 minutes to get to Auchingarrich Wildlife Centre. We left a bit later than I’d intended and we arrived about 12.30. We did see pretty much everything in the time we had. But it would have been nice if we had arrived earlier to have a bit more time in the park. 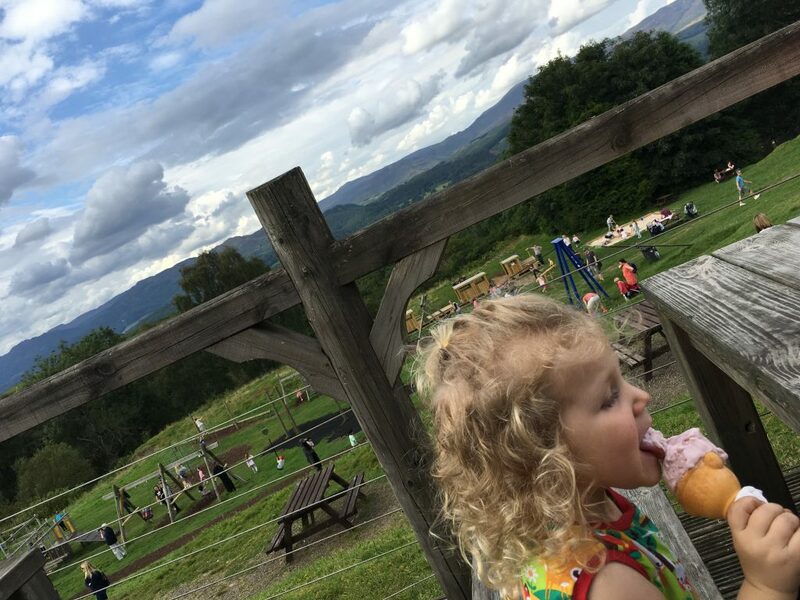 The drive from Glasgow takes you up part of the A9 past Stirling, so there’s the option of stopping somewhere around there for a wee bite to eat on the way home. You can also see the Wallace Monument on the road between Stirling and Auchingarrich which the little lady was pretty excited about. She quite likes a “tower”, whether it’s real or Lego. Auchingarrich Wildlife Centre feels like children’s farms used to feel when I was a kid. It’s rustic, and not too big. But big enough that there’s plenty to do and lots to keep the kids occupied. It’s also surrounded by some really beautiful scenery. 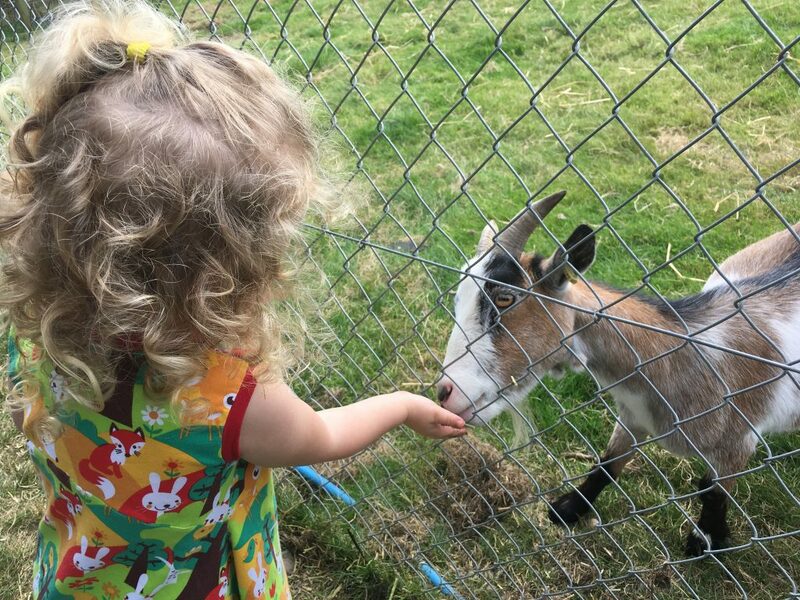 There’s space for the kids to run free and lots of animals to interact with; probably more of the latter than at other children’s farms we’ve been to. We all really enjoyed it. I would recommend it for somewhere off the beaten track to visit! Auchingarrich Wildlife Centre is located in Comrie, PH6 2JE, around half an hour north of Stirling.